It’s full summer in Wisconsin, and, judging by the abundance of red, white and blue in our Pinterest feeds from the 4th of July weekend, you just might be hot dogged and hamburgered out for a few weeks. Never fear, friends. Seen on Pinterest is back and ready to help you plan out the rest of your summer shindigs with these sweet treats perfect for hot summer nights, backyard barbecues or lazy days by the lake. Here are a few of our favorite recipes and tutorials currently making the rounds in our Pinterest feeds. Caramelized strawberry and graham cracker crumble ice cream. Oh. My. Goodness. Ice cream pies with pie crust bowls. What a creative use for leftover crust! Then again, who has leftover crust? Chocolate chip cookie dough ice cream sandwiches.Press the dough into a chilled Pyrex pan lined with parchment paper for the best results. Brownie batter milkshakes. Yum. Yum. Yum. Copycat Wendy’s frosty. Add the word “healthy” to your Pinterest search for a zillion varieties of this one. “One ingredient” ice cream, five ways. Bananas. They’re what’s for dessert. 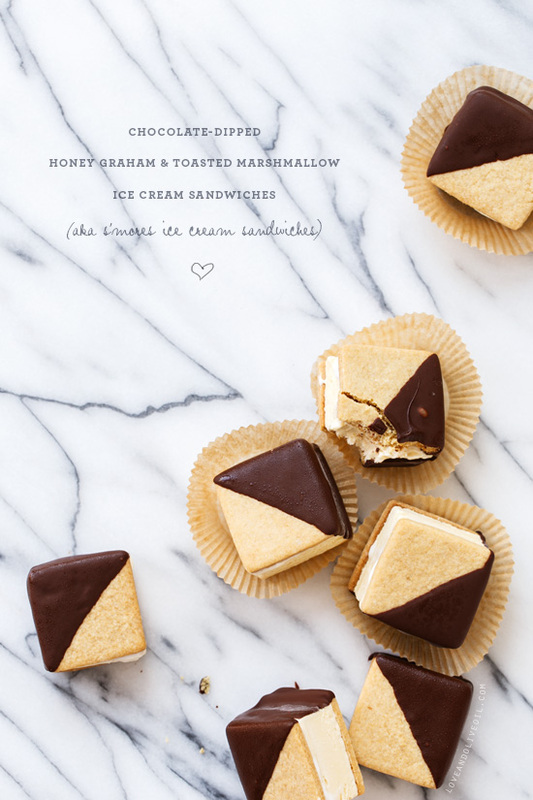 Waffle ice cream sandwiches. Recycle breakfast foods creatively. Frozen grapes on a skewer. So simple, yet so delicious. Healthy, too! Icebox cake and other frozen fruit dessert recipes. We <3 you, Better Homes & Gardens. Starbucks’ secret menu. An entire board dedicated to off-the-menu treats you can order, including our favorite chilled Frappuccinos. Oh my, how yummy. Looks soooo good. These I will have to try.every day I am online getting a new recipe to try out. I loveeeee to cook and share all these goodies. Thanks so much.